2019 Kawasaki Ninja H2 Carbon. Picture credits - Kawasaki. Submit more pictures. Taking the exclusive Ninja H2 ownership experience to a new level, the strictly Limited Edition Ninja H2 Carbon has a presence that few, if any machines can match. Equipped with a carbon fibre upper cowl and boasting Ohlins rear suspension, an up and down quick-shifter and bank angle display, the Ninja H2 Carbon is limited to 120examples worldwide, a rare beast indeed. Ask questions Join the 19 Kawasaki Ninja H2 Carbon discussion group or the general Kawasaki discussion group. Enter your e-mail to join the 2019 Kawasaki Ninja H2 Carbon forum and get notification of answers and new messages about this bike. You can unsubscribe with a single click. Bikez does not display, sell	or misuse e-mail addresses. Bikez.biz has an efficient motorcycle classifieds. Ads are free. 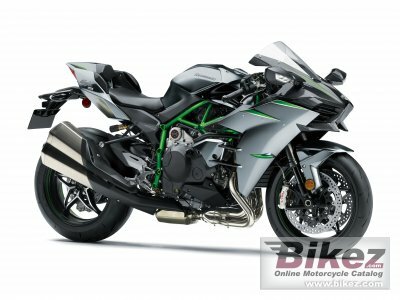 Click here to sell a used 2019 Kawasaki Ninja H2 Carbon or advertise any other MC for sale. You can list all 2019 Kawasaki Ninja H2 Carbon available and also sign up for e-mail notification when such bikes are advertised in the future. Bikez has a high number of users looking for used bikes. Before you buy this bike, you should view the list of related motorbikes Compare technical specs. Look at photos. And check out the rating of the bike's engine performance, repair costs, etc.